← How Long for Lufthansa A340s? It’s been a while since I had a cormorant post on this blog so time to have another one. This one is to showcase something I love about watching cormorants but that I hadn’t got good images of. 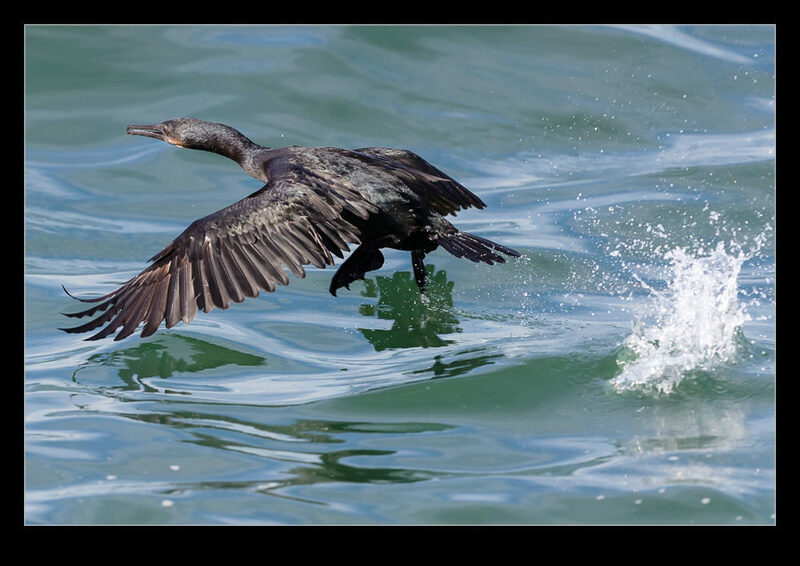 When cormorants take off from the water they start flapping and running across the surface. They take quite a while to get up to a speed at which they can sustain flight. This trip across the surface usually is too far away to get a good shot of, even if you do spot them in time to get the camera on target. 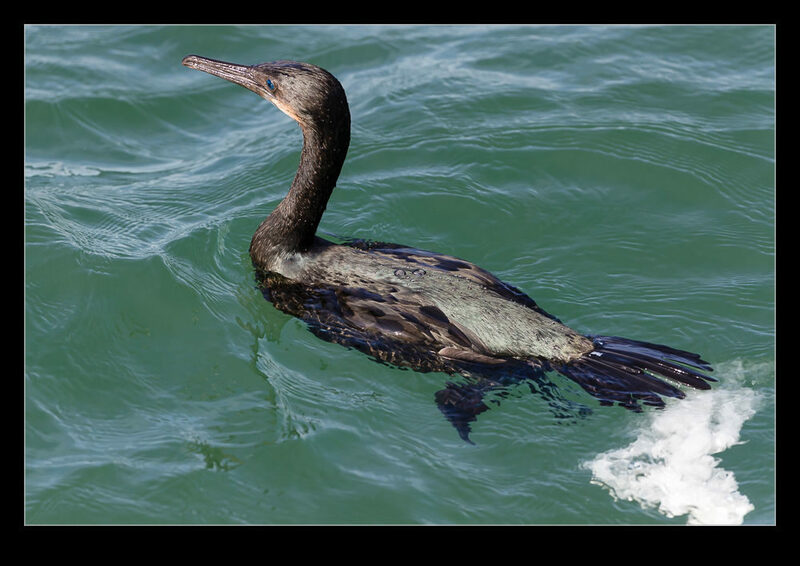 However, if you are in a boat and the boat approaches the cormorant, you might spook it into taking off. They are pretty resilient creatures so may just float on by and ignore you but sometimes they will take off. Then, if you notice in time and the camera is to hand, you might get the takeoff sequence. They hop from wave crest to wave crest as they flap and accelerate and then they are flying. You can also lose a little weight before take off to improve performance! 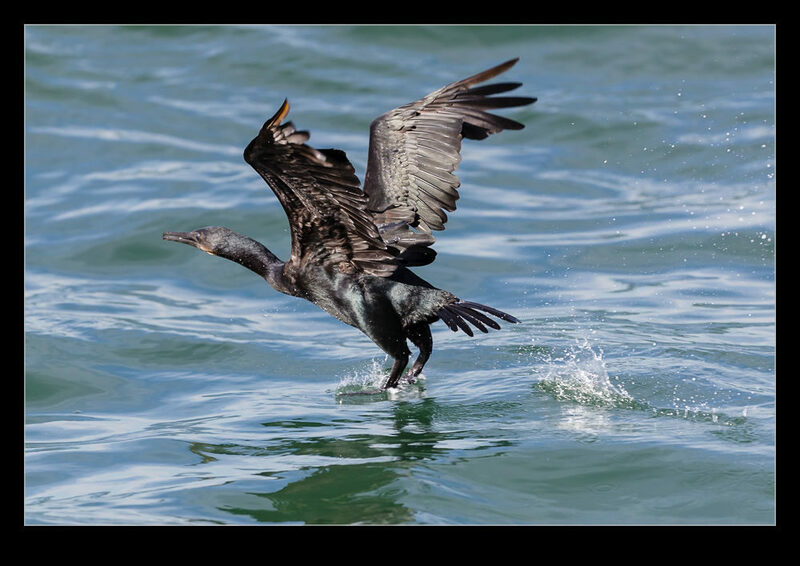 This entry was posted in wildlife and tagged bird, cormorant, photo, takeoff, wildlife. Bookmark the permalink.